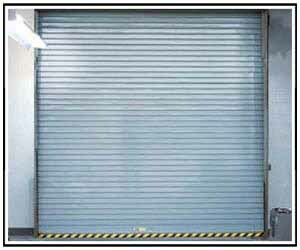 In a commercial setting where side room and headroom are important for business to run smoothly, Rolling Steel Service Doors meet commercial overhead door needs for all types of industries. With their ease of use and sleek design, rolling service doors are well-suited for concession stands, storage facilities, auto shops, retail stores, distribution centers, warehouses and many types of manufacturing plants. Overhead Garage Door, LLC is a proud commercial garage door company that not only supplies, but provides installation, service and maintenance on both C.H.I. and Wayne Dalton Rolling Steel Service Doors. 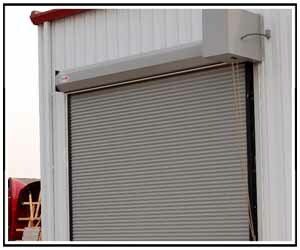 The Rolling Steel Service doors manufactured by C.H.I. are designed and constructed to meet many levels of performance needs that exceed the expectations of the commercial industry. Manufactured to strict code and building standards, each coiling door provides confidence for both the supplier and the customer. C.H.I. Overhead Doors provides two rolling service door models; the Full Duty Service and Insulated Door 6000 and the Medium Service Doors 6241. The Wayne Dalton Rolling Service Door (model 800) are manufactured to meet even the most demanding and rigid commercial and industrial applications. The 800 Series Rolling Service Doors offer commercial users flexibility in material choices and color options, which make them popular in both interior and exterior settings.